When talking about the Ayuryogashram resort, its advantageous location, the surrounding locale, scenic landscapes and the beautiful interiors when combined makes it an inviting entity. The Ayuryogashram resort is spread across an area of about 2.5 acres and houses the main building, an annex which houses the treatment and therapy rooms, the meeting space and a couple guest rooms that is spread across two floors. 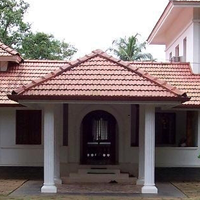 In keeping with the underlying theme and design, the new individual cottages within the property, feature exteriors of an old Kerala building design and is in harmony with the main heritage building. A walk through the resort, gives you a view of the sprawling lawn, a swimming pool, the Yoga centre that is tucked away into the property sporting a very simple, rustic design theme and a play area that completes the tour of the resort. 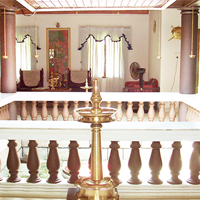 The interiors and décor in the rooms have a simple elegance about it. With all in-house amenities and facilities, and a very courteous and amiable staff, experienced therapists, masseurs and a resident doctor under whose watchful guidance the treatments and therapies are undertaken and initiated is complete in itself. And for those who are aware about the benefits of Ayurveda, seeking an Ayurvedic resort in Kerala that is a veritable escape in sylvan surroundings, then Ayuryogashram gets your vote. In pristine, beautiful surroundings with verdant paddy fields and foliage and a hill in the distance, a place where silence speaks louder than words in all-natural environs, the place beckons anyone who definitely want to experience an Ayurvedic journey in a quiet neighborhood. Coincidentally, the resort is situated in close proximity to the Dhanvantri Temple in Nelluvai. 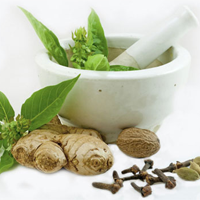 As per Ayurveda, Lord Dhanvantri, the Apostle of Medicine is deeply revered and celebrated and we consider it fortuitous in a way. 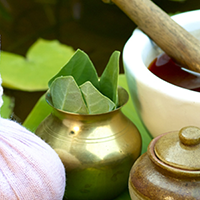 We offer many different types of Ayurvedic treatments and therapies, which follows a time duration, a strict in-house vegetarian diet coupled with rest and relaxation. 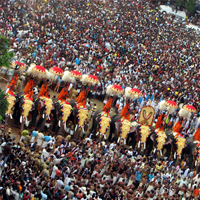 With ample facilities in-house and a lot of places to explore in and around, and for those who would like to engage in spiritual sojourns, the vicinity is dotted with many unique temples and churches that each tells a story and whose lineages even dates back centuries. 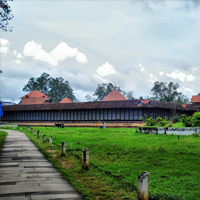 There is plenty for you to explore and experience in the backdrop of Kerala, ‘God’s own country’. We do offer individual, customized day tours and travel experiences based on your interest or liking. We are Green Leaf certified. 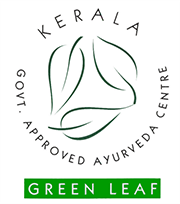 This is a Government recognition and accreditation of our Ayurvedic center. It is a highly coveted certification that encompasses all aspects of quality which is treatment facilities, qualified and experienced doctors and therapists, nutritive food, ambience and service quality and service interaction at all levels. 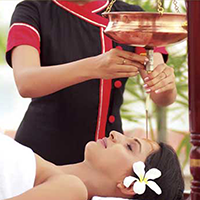 In an attempt to standardize and regulate the many massage centres, Ayurvedic establishments and Ayurvedic resorts, the Government of Kerala came up with a Good practice system specific to Ayurveda in March 1998. This was referred to as the Green Certification program. The construction, design, the architectural significance and features of the building should be exclusive and of a very high standard. In fact, all the furnishings and the décor should be of superior finish and quality. Adequate parking space should be available within the premises. Bathroom should have all the amenities for a Steam Bath. A dedicated and a separate area for Meditation and Yoga sessions. The place should be in the background of verdant foliage and abundant greenery and in very quiet settings. There should be an area in the Garden space that is earmarked as an herbal garden. 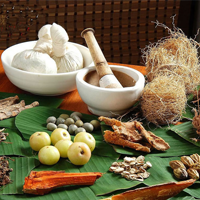 If a resort or an Ayurvedic centre were to get the Green Leaf Certification, it is definitely considered a very remarkable and prestigious recognition of the services rendered by the place. Yes, we at Ayuryogashram strive to stay true to our heart!